One of my favorite things to do is sit down with a hot coffee and write out plans. I like to set a timeline for what I’m going to teach or map out the family’s meals for the week. It makes me feel at peace to know what will be ahead in the coming days. Over the years I’ve learned that it helps to keep all my notes in one place. I don’t know how many times I’ve put something in a “special spot” only to, later on, totally forget where it is. I’m putting together a binder, starting with this family binder cover page, where we can keep all of our calendars, plans, schedules, and other important information all in one place. I had a lot of fun making the cover for our family binder cover page. I went with a chevron pattern in blue and green, but you can print it in black and white if you’re not into the colors. It was pretty simple to whip up, and it gives a nice touch to the front of the binder. I slid the cover page inside a 1-inch binder with a cover sleeve and, voila! A brand new family binder ready to be filled with all sorts of lists and schedules. To get your copy, just right-click and save the image below or click here for the pdf version. I’m still thinking about what else needs to go in the binder. At school I need to keep track of student data, test scores, lesson plans, birthdays and other student information. But at home? I’m a lot less organized. A nice cover on my family binder should put me in the right frame of mind to get a system of organization in place. We already plan out a week’s worth of dinner recipes. Now that Logan is in sports it’s helpful to have his game and practice schedule handy as well. It’s possible that I see a cute shopping list printable somewhere in the near future since, for now, I just use a simple sheet of lined paper as a shopping list. What other sections does a family binder need? Emergency contact information? Medication schedules? If you can think of any planning or informational record keeping pages, I’d really appreciate your input. I hope you enjoy the free printable. Happy planning! Hmm, I would add emergency contacts, a copy of every bill so I know how to get a hold of anyone should we experience a blinding snow storm and our power goes out. And a copy of our insurance. Kinda of like a go to incase the crap hits the fan. Heather Lawrence recently posted…Bible Study times two!! Love the chevron pattern and color choice. I haven’t made a family binder yet but I can see why they would be helpful! What a great idea! I love the colored chevron pattern. I really can’t think of anything else that would be helpful to keep in it. I think you’ve covered it all nicely. This is such a cute idea!!! 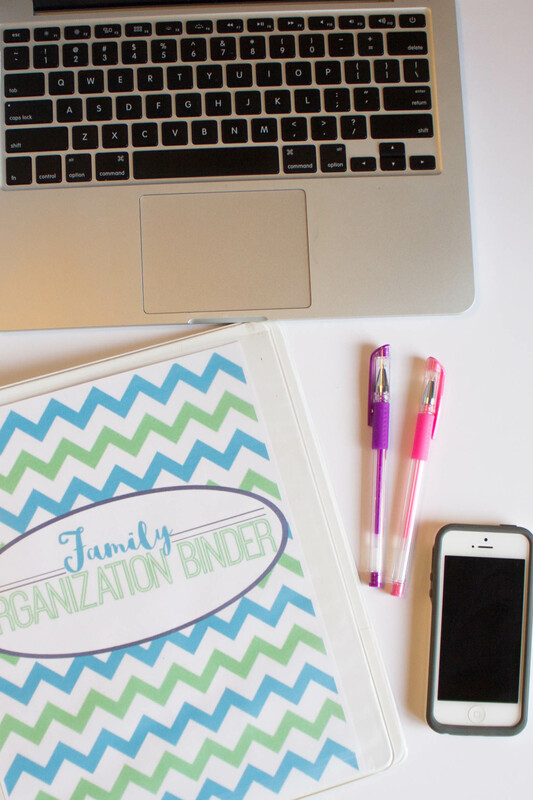 I’m a stickler for organization and am obsessed with binders and school supplies, so this idea is genius! I’d definitely include info. 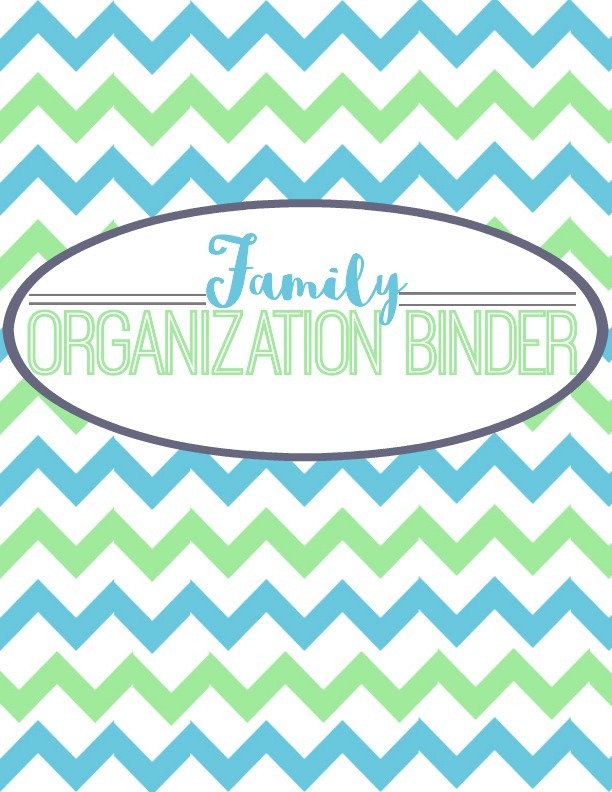 for after school activities and school events and due dates to keep us organized. Thanks for the suggestion! Maybe I would actually be more organized if I had a fun binder cover. Thanks for the great printable for organizing. In my younger years, I never needed a planner of any kind. Now that I am older, I wish I would have kept one. I can’t remember anything with out being prompted. I would need something on vacations for my planner. What a great cover!! I try to keep all our important stuff grouped together like this, but need to do a better job at being organized together. I have totally done the same thing! Put something somewhere special and then forgotten where it was! Love your organization. I love your post! There’s nothing like a fun planner and cool pens to help make the creativity juices flowing. This is great! I love organization and this is perfect for a binder system. That’s a great binder page. I love the colors too. I’ve never heard about a family binder. we never had anything like that. What a great idea! I love the look of your binder. I’ m totally with regards to the importance of keeping all of your notes in one place as I also lose quite a lot of important papers :). As a teacher, I would love to use this design for my binder for classroom information. I love the design and color scheme! It would be so nice to have a bookbinder for your family goals or bucket list. This can also be used as a cover for scrapbooks. I love the colors and design and would consider making one for family mementos. What a great idea!